The G-Force is powered by a strong family commitment to the community, one that focuses on excellence and has since 1960. You see that is the year the G-Force came into being – sort of. 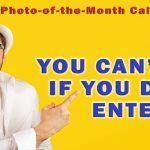 What I am talking about is Getzschman Heating, LLC, a 58-year-old commercial and residential HVAC firm that has remained a family company since Richard Getzschman started it. In 1960 Getzschman Heating was born, but it existed in other forms before then. Richard began his HVAC career working for a company called Nebraska Sheet Metal. He eventually left that firm and joined forces with a friend and, in 1958 their company, Smith and Getzschman, made its mark on the world. In 1960 Richard left and started Getzschman Heating and Sheet Metal. Eventually he dropped the sheet metal portion of the name and the current Getzschman Heating name came into being. 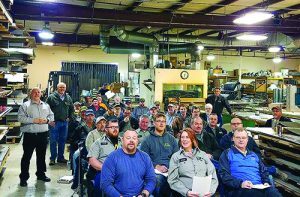 The company still operates a significant sheet metal operation. Richard had four sons and three eventually joined the business. Ron Getzschman joined in 1972, his brother Scott in 1978, and youngest brother, David Getzschman, joined seven years later in 1985. The company, which started in the garage of the Getzschman home in 1960, now operates out of two facilities. The headquarters is located in a 20,000 sq. ft. former shopping center in Fremont that Getzschman bought in 2007. Getzschman enjoyed $9.7 million in gross sales in 2017 and according to Ron Getzschman, is budgeted to do about $9.9 million in 2018. Revenues come from the commercial (50%) and residential sectors (50%). They have 53 employees and field 16 service vehicles, six installation trucks on the residential side; 11 vehicles on the commercial side. Ron and Scott, and Roger Pannier co-own the business, with Scott focused on the residential service side. 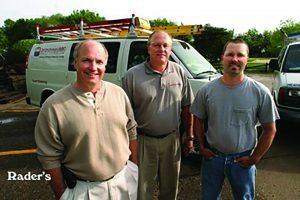 Ron handles the residential installation business, David focuses on commercial, and Roger oversees accounting. Since the beginning, this company always put the customer and the community first. The G-Force concept is part of a marketing campaign that pushes fast and reliable service and backs it up with measurable and verifiable diagnostics. “We have the most extensively trained, longest tenured service staff in the area. 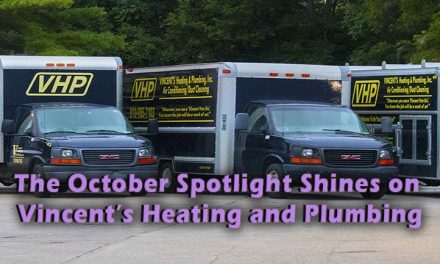 Our technicians are trained to work on all makes and models of air conditioners, furnaces, and heat pumps,” he says. Ron Getzschman attributes G-Verify to their incorporating a Performance-Based Contracting™ approach to their business. In fact, they kind of flowed right into NCI. Getzschman explains that his company originally joined Contractor Success Group (CSG) back in 1993 and never left throughout all the changes that occurred to that organization. “That is what really launched our residential growth,” Getzschman explains. “CSG specialized in business management training, including marketing. At that time, I was running our commercial department, but I dropped everything to focus on implementing what we were learning in the CSG training. Historically, CSG eventually became Service Experts. And then Lennox bought it. And then ISL bought it. And then ISL became part of NCI. System renovation and air upgrade work on new installations, according to Getzschman, happens automatically today. “Thanks to NCI training, we now make sure everything is done properly. Still, when we first started we struggled. It was a work in progress. We needed to do a better job of finding problems, especially in poorly sized and installed duct. That indeed, is the G-Force! Because so few others in the Fremont-Omaha market area measure, test, and verify system performance, it can create a difficult sales environment. Especially if the consumer is led to believe that everything Getzschman does is voodoo. But Ron says it doesn’t matter. He adds that Performance-Based contracting provides the proof not only for the customer, but for marketing as well. He says the Getzschman technicians do this on every installation. Then they recheck everything to make sure the upgrades and improvements have made a difference. On the Getzschman website, consumers see the following ‘definition’ of commissioning, which is called G-Verify. It says, The Getzschman G-Verify testing and diagnostic methods are used on Air balancing and combustion efficiency test to measure the performance characteristics of the HVAC system compared to the collected manufacturer’s specifications. 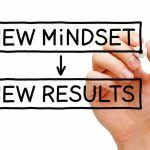 So just how do you implement all this good stuff into your HVAC business? By taking little steps. Getzschman adds, “When it comes to Performance-Based Contracting, try to find what provides you the biggest bang for your buck. And then make that a company policy. Write down what those policies are, what you want done on every job. 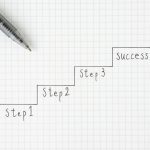 “Make it part of the sales process as far as what your comfort advisor says to the customer. Then it is all about communications. It’s about talking with and explaining to the customer what air upgrades are and why it benefits them. He emphasizes that the performance process isn’t something that they are done with. In fact, Ron Getzschman says they have a long way to go. “There is always more training to do,” he says. 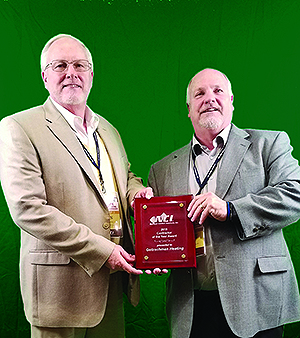 Ron (left) and Scott Getzschman pose with their plaque after being named NCI’s 2018 Contractor of the Year during that organization’s High Performance Summit event in Austin, TX. The process obviously involves change and, like companies everywhere, change can be difficult. At Getzschman, implementing performance meant changing how field service and installation crews operated and interacted with customers. Ron Getzschman says some of his co-workers pushed back at first. Enforcement also means better communications from management. Ron says he meets with his installation crews every morning. They discuss issues. They also talk about the process. Together they work out the kinks. Another aspect of the Getzschman approach is their guarantee. Ron says they provide their customers a “two-year test drive.” If anything goes wrong, Getzschman fixes it. No questions asked. He says, “Sure, we’ve had to return money to customers because something wasn’t done right, or just for any reason. We’ve had customers who didn’t like air coming out of the register, so they want us to remove the system. He does say that the bigger issue is one of manpower. 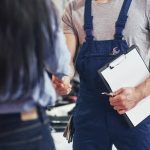 It gets harder each year for he and his brothers to find competent employees to work in both the commercial and residential arena. 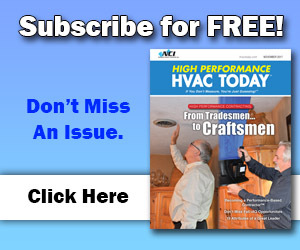 He believes one of the biggest problems the HVAC industry has is attracting young people. “For decades the push has been to prepare high school kids for college. But in today’s reality that option is becoming unaffordable and the jobs just aren’t out there. 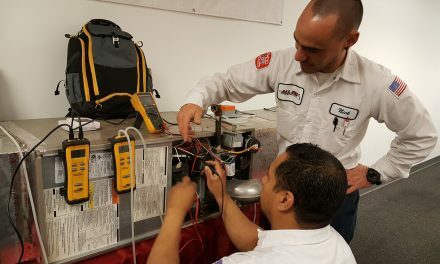 Up until very recently no one paid attention to the solid living you can make in the trades, especially in the HVAC business,” he says. He says the world of Performance-Based Contracting also helps. Because now, thanks to modern test instrument and tool technology, HVAC is becoming more attractive. It is about using not only your hands, but your brain as well. And that can be the G-Force in your market. Except you may have to rename it to better reflect your own company name. 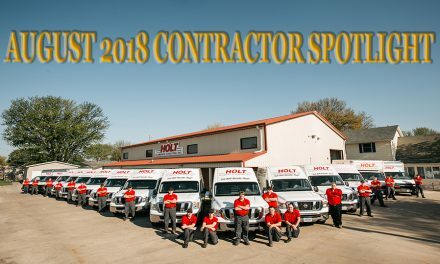 Congratulations to Ron, Scott, Roger, and David and their entire team on being the April 2018 High Performance HVAC Today Contractor Spotlight.